predecessor, Dr Goodluck Jonathan, for handing power to him calmly in 2015, the Presidency on Thursday assaulted Jonathan over his position that corruption is more wild in Nigeria than the period going before 2015. 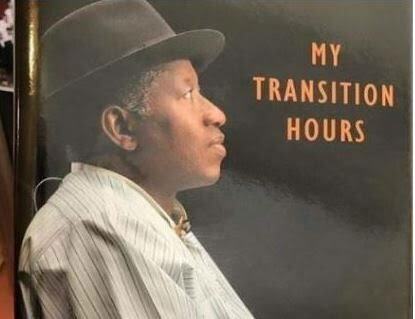 Jonathan on Wednesday, launched his book, ‘My Transition Hours’, in which the former President wrote on how he lost the 2015 election and why he chose to relinquish power peacefully. 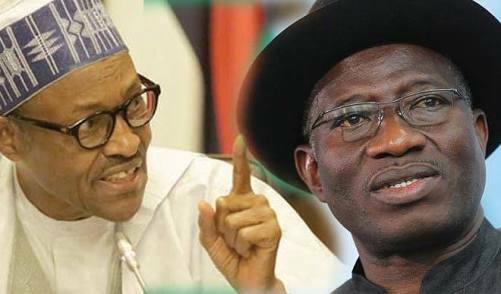 On Thursday, the Presidency said Buhari took exceptions to Jonathan’s position that there was more corruption in the country than during his tenure. The President’s Senior Special Assistant on Media and Publicity, Mr Garba Shehu, in a statement, described Jonathan’s position as “hollow boasts”, adding that the former President merely played “the ostrich” instead of admitting that he lacked the political will to fight corruption or implement policies to halt stealing of public funds. The Presidency in the statement claimed that top government and party officials were being prosecuted and brought to book for the first time because of Buhari’s intention to check corruption in the country. It also claimed that former military commanders had been brought to book, in addition to the trial and conviction of former governors. It stated, “For the records, this is the first time a ruling party is investigating ranking officers of the administration, including some at the very top. It added that Buhari initiated new laws and proposed amendments to existing ones to strengthen the war against corruption. Shehu listed the laws as the Money Laundering Prevention and Prohibition Bill 2017; Anti-Terrorism Prevention and Prohibition Bill 2017; Nigerian Financial Intelligence Unit Bill 2017; Proceeds of Crime Bill 2017; Public Interest Disclosure and Witness Protection Bill, 2017; and the Mutual Legal Assistance in Criminal Matters Bill, 2017. On Jonathan’s assertion that his administration introduced the policies the Buhari administration has been using to fight corruption, the Presidency disagreed. Shehu said, “Nigerians should dismiss Dr Jonathan’s hollow boast that he, not President Buhari, introduced schemes such the Biometric Verification Number, the Treasury Single Account and the Integrated Personnel and Payroll Information System. Of what use is the announcement of good policies without the will to implement them? Furthermore, the Presidency stated that Buhari introduced the whistle-blower policy to cut fraud and financial misconduct. “Within six months of introducing this policy, over 5,000 reports were made through various channels, 365 actionable tips were received out of the 5,000 reports. So far more than N200bn has been recovery,” it added. On the recovery made by the Economic and Financial Crimes Commission, the Presidency said as of 2015, there was only N19.5bn in the recovery account. “After one year of the new anti-corruption drive by the Buhari administration, this figure had gone up to N279bn, and since then a lot more has been recovered”, it stated. The Presidency further noted that Jonathan’s book really didn’t have anything to say about his achievements or those of the Peoples Democratic Party’s 16 years in office, hence the resort to making excuses. The Presidency said, “As evidenced from a fleeting look at the book, the former President had nothing to say about his own achievements. If there was a recession, and yes we had a moment in it, was it due to one year of President Buhari’s government? But the fact that it took Buhari over six months to appoint ministers, get them screened and sworn in was enough to drive Nigeria into Recession. You don't leave a country that long without necessary structures, if you claim the former government mismanaged the country. You should have hit the ground running.